The challenge will start on 16 January 2017 and ends on 30 April 2017. To register go to trainlikeanastronaut and use the code RUBINS2017. You're invited to take part in this international challenge! Get involved in activities focusing on fitness and nutrition. The Mission X: Train Like an Astronaut programme, developed by the partners of the International Space Station (ISS), uses astronaut training to teach how good diet and exercise play an important role in human performance in space and on Earth. 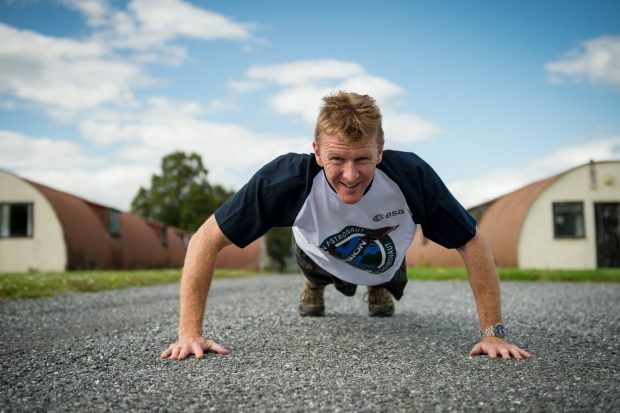 British ESA Astronaut Tim Peake was the 2016 Mission X ambassador and recorded a number of messages about the importance of fitness and healthy food whilst he was on the ISS. The programme is free and the activities can be used by individuals, schools or community groups. It is accompanied by student and educator guides and video content recorded by astronauts. Over 35000 UK students from over 600 teams took part in Mission X in 2016 alone. Since the programme started in 2011 over 60000 young people have taken part in the challenge. Students have had the opportunity to take part in live link-ups with the International Space Station; visit the European Space Agency (ESA)’s science and technology facility (ESTEC); learn alongside astronauts, space scientists, fitness and nutrition specialists; work alongside universities; link up with other schools internationally; and find out about life in space. The programme is supported by British ESA astronaut Tim Peake and his fellow astronaut colleagues Kate Rubins, Thomas Pesquet, Samantha Cristoforetti, and Paolo Nespoli. It has also received support from NASA astronaut Piers Sellers and private astronauts Richard Garriott and Per Wimmer. (& also middle aged fans of Tim !!) I would love to do something & I know my husband who is much fitter than me would & could !! Anything that adults can participate in?